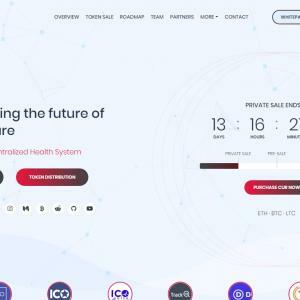 Cura Network is a global decentralized health system comprising of entities collaborating and sharing data with each other to promote, restore or maintain health. These entities are patients, specialists, providers, and third-party app developers. Patients will have exclusive ownership of their health data distributed and shared by other permissions entities. Patients can authorize or deny access to part or all of their health records. Cura Network introduces a decentralized storage of health data via a platform that guarantees data interoperability, fast and secure access, privacy and data portability while serving as a partial or whole data layer for third-party app developers to power their health service applications. Cura Network unites patients, specialists, researchers, insurance companies, developers etc. into a large global community. We aim to improve the healthcare universe by making use of blockchain technology to create a unified platform that will power a plethora of health services. In the end, our goal is to integrate patients, specialists, providers, and third-party app developers, into a blockchain ecosystem, which will make health transactions truly efficient, secure, explicit, fast and reliable.